Are those detractors right to decry the CIP? Do they pose dangers to other nations? And, are any such dangers potentially worse from Caribbean countries than from others that operate similar programmes? To answer these questions, a tour of CIP's – by whatever name they are called – might be useful. People all over the world have always sought citizenship of countries other than those in which they were born. Historically – and at the present time - the majority of such people are economic migrants; people who leave their birth countries, seeking opportunities elsewhere. But, migration is no longer limited to the poor or the desperate, today there are tens of thousands of millionaires who are also seeking alternative citizenships. The point is: there is a demand in the global market for second citizenships. It is a demand worth billions of dollars, and many governments, including some who criticise the Caribbean for its CIPs, are very much involved in it. The world's top destination for millionaires seeking another citizenship is Australia. The second is the United States. And, neither of them has been a passive recipient of millionaires and their money. Both have active programmes, designed to lure millionaires to their shores. These programmes are cast as schemes for permanent residence leading to citizenship; they differ only in the length the of the process, not in the purpose of them. In 2012, Australia introduced a 'golden ticket' investor visa for US$3.8 million that has attracted more than 1,300 millionaires. It also has a cheaper programme at $770,000 that allows temporary residence and takes longer to get a permanent visa. For 27 years, the United States has been operating what is called an 'EB-5' programme. It requires a $500,000 investment for a 2-year visa which can be turned into permanent residence and eventually citizenship. Since 2012, the programme has generated at least $8.7 billion for the US economy. While, originally, it was meant to help finance projects in low-income areas, it has been used to attract Chinese millionaires to invest in high-end real estate projects. Until 3 years ago, Canada was the third highest beneficiary of visa-investment programmes. Canada scrapped the programme in 2014, but two months ago, Quebec announced that, on the May 29, it will launch the Quebec Immigrant Investor Programme. For CAN$800,000 that programme provides permanent residence leading to citizenship in Canada. Not surprisingly, the programme while open for 1,900 applicants, is providing for 1,330 applicants from the Peoples Republic of China. The Caribbean has a right to a share of the feast on the global table, and not just to the crumbs that remain after others have fed themselves. Those, who continuously condemn the CIPs, also fail to acknowledge that all the governments, including those in industrialised nations that operate these programmes - by whatever name they are called- do so as a means of bringing revenues and investment into their countries. Small Caribbean countries have the same motivation; they have adopted these programmes out of economic necessity. But, having said all that, Caribbean countries with CIPs should be aware that the critics hang their disapproval of CIP's on the peg of money laundering, tax evasion and terrorism. They claim that CIPs can be used for these purposes, even though they have failed to explain how or to produce evidence of instances where it has occurred. That is why what is crucial to the success of these programmes and their acceptability, is vigorous, intense and transparent scrutiny of the applicants for citizenship. 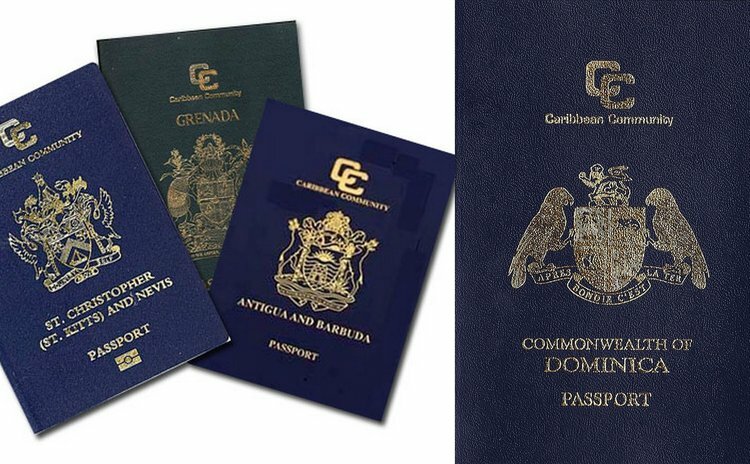 For the programmes to be successful, they certainly need applicants of high worth – and, in this regard, Caribbean jurisdictions must create new and exciting reasons why their citizenship is competitive and desirable - but they also require great comfort by the governments of countries to which the successful applicants will travel.